Uniquely Wired M is an artistic innovative hand crafted jewelry line that promotes healing, spiritual and inspirational essence. Bringing consciousness and high vibrations to the ancient use of gemstones and copper healing. All jewelry is made by M’Shari Whaley along with fellow designer Lee Williams, who decided to put their love of jewelry and creative energy together to make some costume pieces for both males and females, children and your pets too! Uniquely Wired M is unique for more reasons than its name, not only is it a wearable art; we can custom make pieces of jewelry to make one of a kind pieces that only you will have in the world! 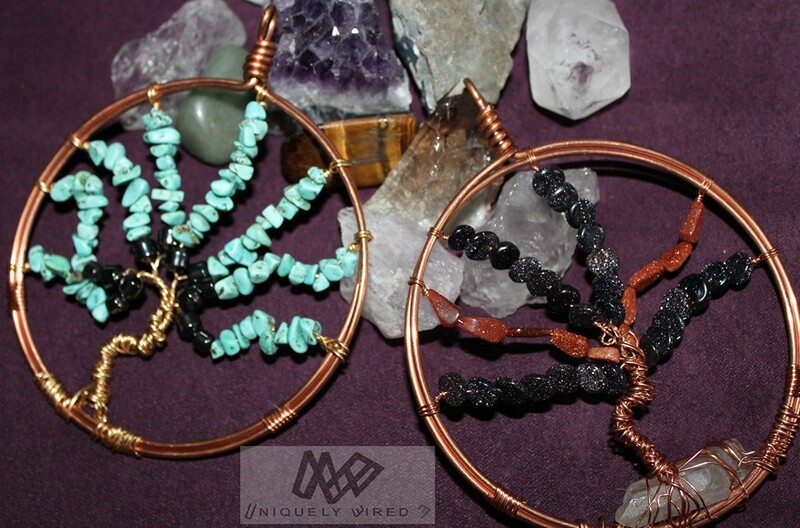 So help yourself become centered and look good doing so with Uniquely Wired M Jewelry.